After receiving more than 500 valuable papers from around the world, we are excited to announce that companies like LinkedIn, GitHub, and Skyscanner will take the stage at our conference next May! 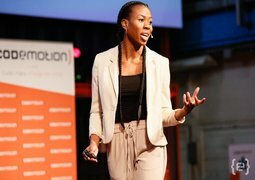 6 stages, 4 keynotes and 70+ international speakers: these are the numbers of Codemotion Amsterdam 2018 line-up. 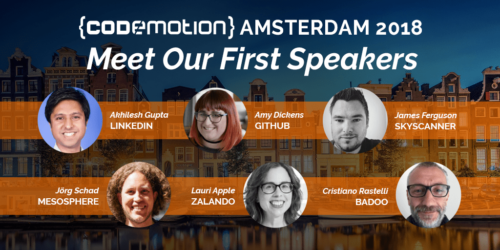 We have already secured some international names that we would like to share with you: meet the first speakers of Codemotion Amsterdam 2018! This is just a sneak peek 😉 If you are hungry for more, check out the first 18 speakers of Codemotion Amsterdam 2018! The exciting news is not over yet: Early Bird Tickets are available starting from today!